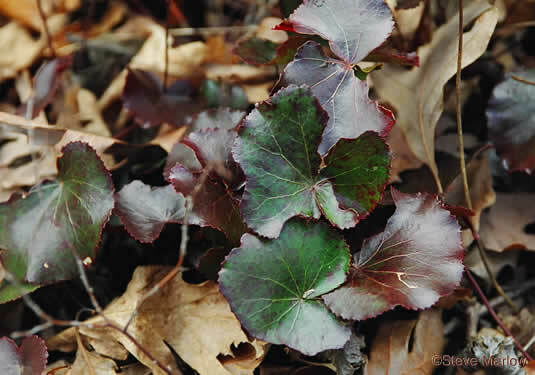 Leaves sharp-toothed, glossy, and often aging to wine-red or bronze, per Wildflowers of the Southern Mountains. 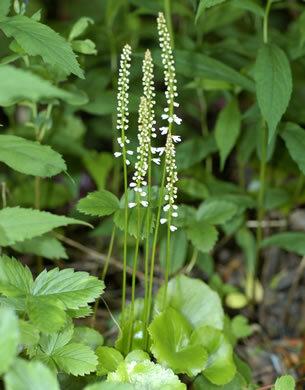 Galax is often called Coltsfoot because of the shape of its leaves, per Great Smoky Mountains Wildflowers. 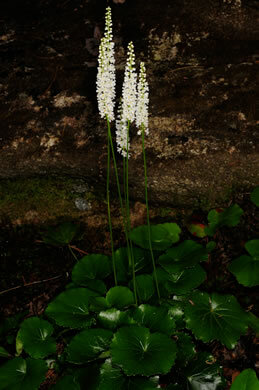 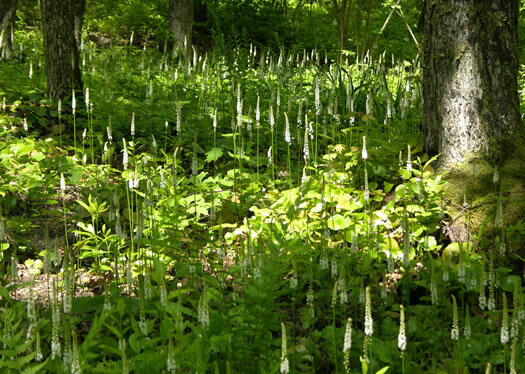 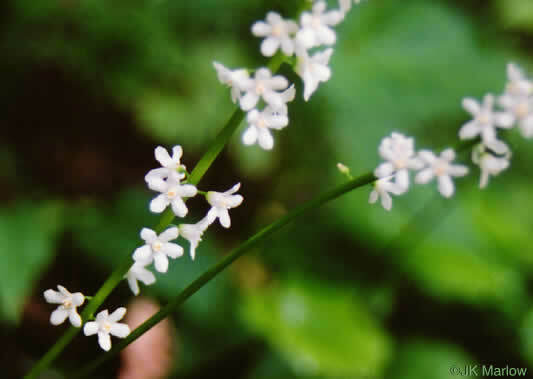 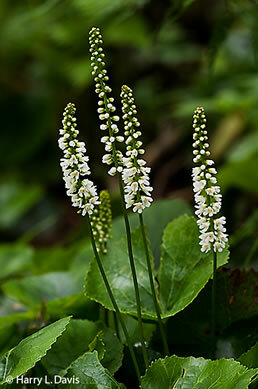 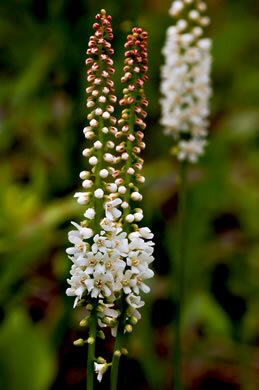 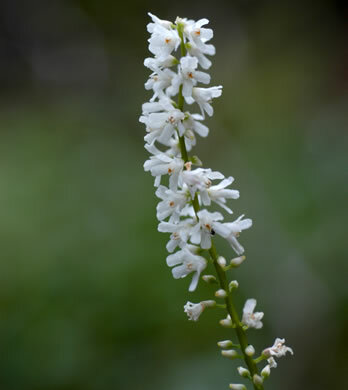 A dense, narrow, spikelike raceme of 0.25" flowers, per Wildflowers of the Southern Mountains. 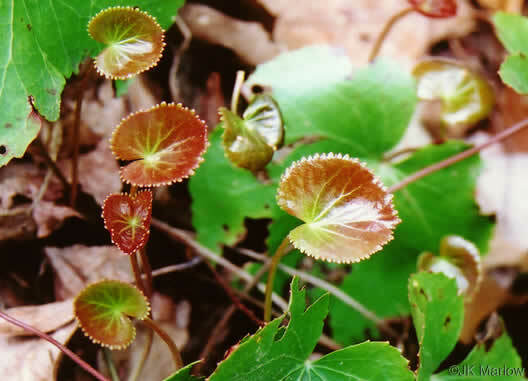 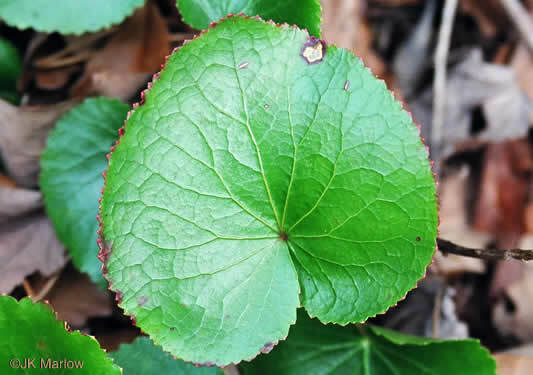 Leaves nearly circular with palmate veins [vs. the pinnate veins of Shortia], per Wildflowers of the Southern Mountains.